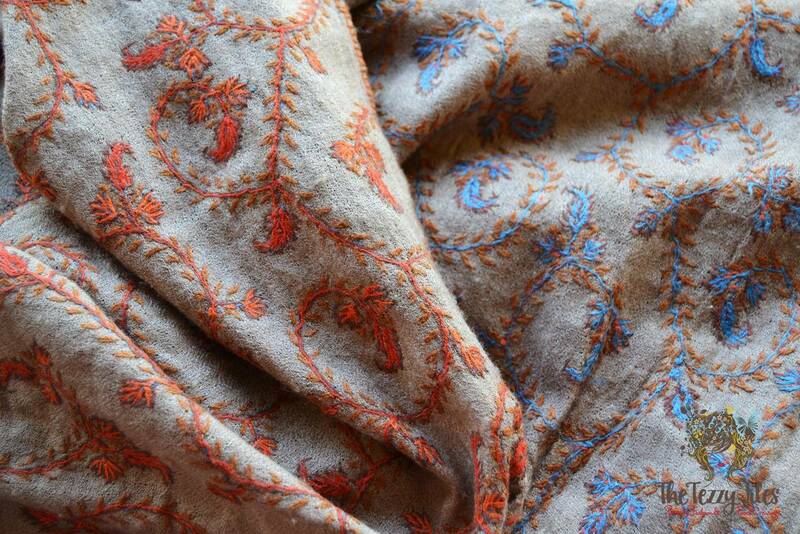 Pashmina is an authentic weave originating from the Northern Indian state of Kashmir. The region has built a reputation for their shawls, and the pashmina is the best known weave. Pashminas are very finely woven shawls that do not exceed 19 microns in thickness. They are woven using Cashmere wool. Cashmere is used to weave Pashminas, and the two are therefore not the same thing. What makes cashmere wool special? The word ‘Cashmere’ is derived from ‘Kashmir’, the North Indian state from where this wool originates. Cashmere wool is derived from the underdown of Cashmere goats as well as other Himalayan goats who produce this fine wool given the cold temperatures in the Himalayas. The fiber of cashmere wool is infact a hair, and not a wool. This gives it a finer, lighter texture as compared to sheep’s wool. Cashmere is lighter in weight and texture than sheep’s wool, but its warmth is not compensated. Cashmere wool helps Himalayan goats survive elevations of over 14,000 feet and temperatures below -40 degree centigrade, so just imagine the warmth of a genuine cashmere-woven pashmina! 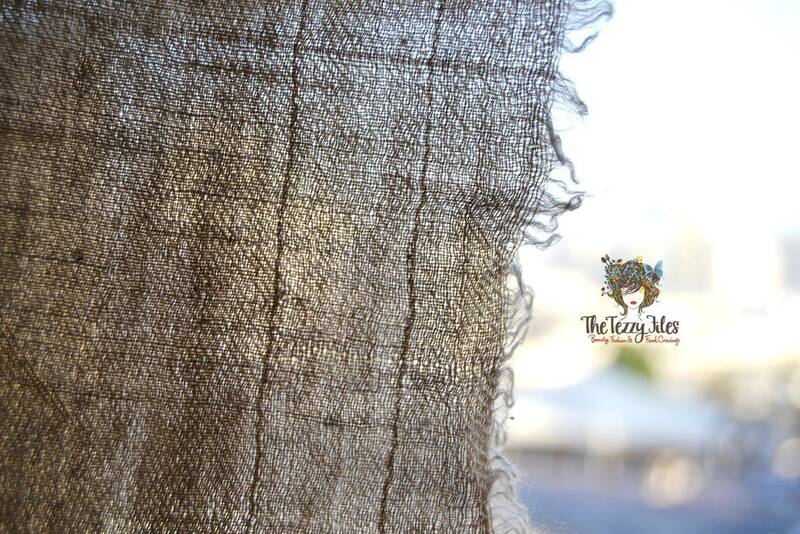 When pure cashmere is woven into pashminas, it has a very matte finish. The weave is also slightly loose when compared to commercialized, machine weaves. To cut costs, many variations include the addition of silk to the weave, thereby giving the end product a slight sheen. Unfortunately there is a plethora of fakes out there. I cringe when I see shawls selling for as low as AED 10 at Carrefour labelled as ‘100% Pashmina’. For one, there is no such thing as 100% Pashmina. Pashmina is the name of the weave, not the wool. Secondly, genuine pashmina shawls are made from very limited quantities of fine cashmere, making them elusively expensive. How do you know if you have a genuine pashmina at hand, or about to be conned with a fake? 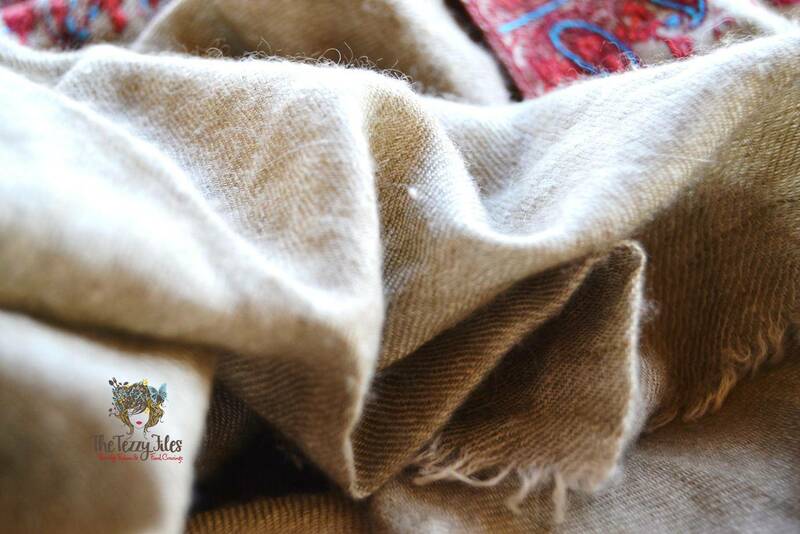 A genuine pashmina will have a matte finish, and no shine. The weave will be soft and rustic as it is done by hand. It will not be tight and machine-perfect like industrial weaves. Genuine pashmina will pile up with prolonged wear. The tiny balls of wool can be removed with a lint remover. Try the Ring Test. A genuine pashmina will glide effortlessly through a medium ring. However, given the plethora of very finely done industrial weaves, many other fabrics will ease through this test as well. If you are brave enough, you can test your pashmina shawl with the Burn Test (Warning! This involves cutting off a piece of your prized shawl!). I am a very lucky girl. I got my very first genuine pashmina gifted to me by a very generous Kashmiri friend. 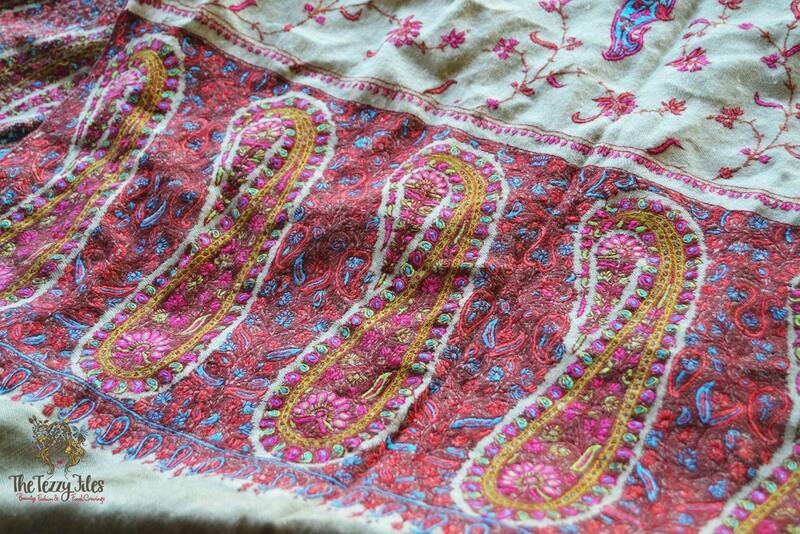 She bought it from a weaver in Kashmir, and the beauty of this piece is that it is embroidered in two different colours on both sides, all over the shawl. I can therefore interchange between orange and blue depending on what I’m wearing, or I twist the shawl to show off the beauty of both sides. I saw a very similar one in the ‘Pride of Kashmir’ store in Souk Al Bahar (Dubai) but it only had the embroidery done on one side, and it was retailing for AED 1,620. I love the versatility of this scarf. It manages to go with everything I wear, and it is light enough to carry about in my bag all year round. It keeps me warm and stylish through overly chilled air-conditioning in summer, and elevates whatever I am wearing come winter-time. 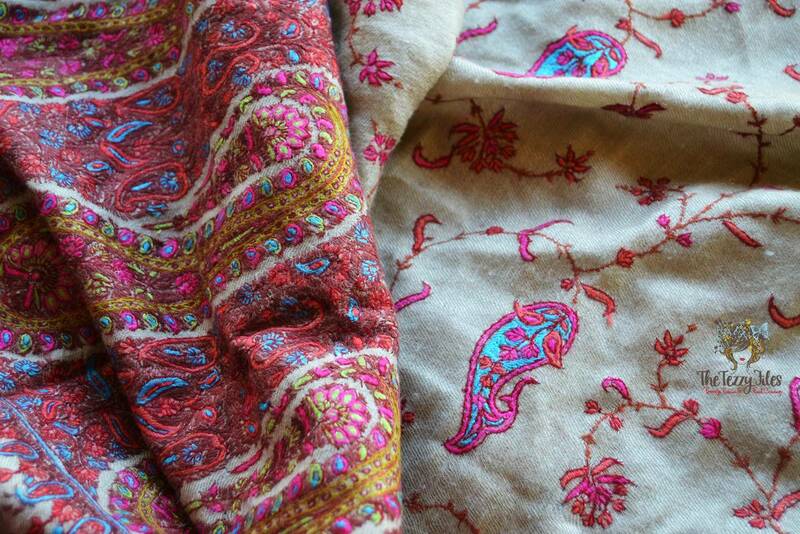 My other pashmina shawl has a more intricately embroidered border, and looks more regally ethnic. I bought this from a Kashmiri vendor in Sharjah Gold Souk. The ethnic work is perhaps not as versatile as my other scarf, but looks beautifully boho with Western silhouettes and is a must-have over Indian ethnic wear. This scarf cost me AED 1,400 and I believe it is well worth the investment. Just look at all that intricate embroidery work, all done by hand! I also love this particular shawl for the rather bold, bright colour combination that is not often seen on traditional Kashmiri work. Pashminas are a part of every classic wardrobe, and will never go out of style. If you plan to spend wisely this year on pieces that will take you through many years to come, I suggest you invest in a pashmina. Be wise, and look up reputable vendors who know what they are selling. Look out for tell-tale signs of fakes. A genuine pashmina will last you a lifetime, and add a touch of enduring glamour to everything in your wardrobe. Posted in Tezzy's Wardrobe and tagged dubai, fashion, hand embroidery, hand made, india, indian fashion, kashmir, kashmiri shawl, pashmina, shawl, UAE, weaving. Bookmark the permalink. Investments are things that go up in value. While I don’t see pashmina’s as doing that, I appreciate this article for being clear and including pictures to explain what you should be looking for! True that! Although for me, an investment can also be something that goes up in emotional value 🙂 I still own a treasured pashmina that belonged to my late grandmother, and hope to pass it down to the next generation. I am so happy to hear you found this post useful, thanks for stopping by! WOW, You just made my day! Thanks for sharing this beautiful clothes. This is just awesome. Really Amazing site.